From content acquisition to content distribution, we have experienced the full range of the issues content creators and content users face. These learning opportunities lead to us collect some clear, concise wisdom that will make video content strategy a more straightforward, rewarding experience. A lack of standardization across the industry can make it difficult to know where to start and where to allocate your limited time and resources when it comes to video. 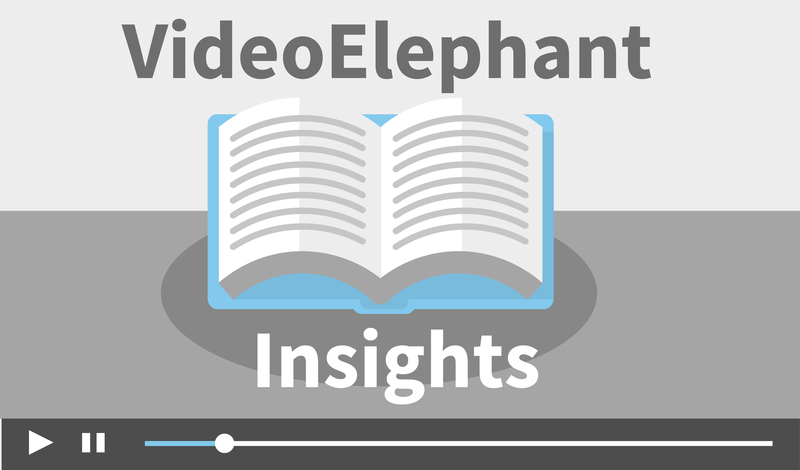 In the VideoElephant Insights series we will focus on different topics and cover issues such as video titles, tagging, video distribution etc., to help you achieve a higher return from video, both third party content and in-house created content. Video content is the anchor for the onsite consumption and the lifeblood of premium monetization for the biggest websites. Tagging is the backbone of content discovery & search and is essential for AI-based personalization and curation. In our first blog post we will give you the essential rules of how to correctly tag and maintain structure in your video library to improve search and content relevancy. For advertisers and consumers, content relevancy is the key to maximising engagement for them and revenue for you! 2. "Click To Play Or Fail To Click? Why Video Titles Matter"
A good video needs a good title to sell it effectively. The key to video titles is to treat them as the very first marketing tool your content has. Don’t be afraid to experiment, modulate the language in your titles depending keyword searches and audience preferences. 3. "Deconstructing 3 Myths about Licensing Syndicated Video Content"
4. "What makes a piece of content premium?" Advertisers are more aware than ever of the many benefits of associating their brands with engaging and superior content. With increasingly successful results in the field, more emphasis and confidence can be placed in premium video campaigns. 5. "The Changing Trends of Short Form Video"
6. "Why Does Video Marketing Work?" Video has proven itself again and again as a vital part of any current marketing strategy. As you know video can help you increase sales and traffic, engagement, improve your SEO, create connection with your target audience and the main factor there is no need to produce your own video content. 7. "5 Steps to Increase Video Views on Your Website"
8. "5 Types of Video Content to Use on Your Website and When to Use Them"
9. "Click-To-Play Video - 6 Tips To Drive More Clicks"
Are you excited to learn more? Make sure to subscribe below as next week our first blog post in the VideoElephant Insights series will be live.